Do you feel too young (or too young at heart) for surgery, but worry about your complexion and the early signs of aging? No matter how young you feel, environmental factors and the natural aging process take a toll on your skin. That’s where Clear + Brilliant can help. Clear + Brilliant—featured in the latest issue of More magazine—is a laser skin care treatment that is gentle and non-surgical or invasive. This revolutionary system was developed by Solta Medical, the pioneers of fractional laser treatments and boast nearly a million treatments to date. 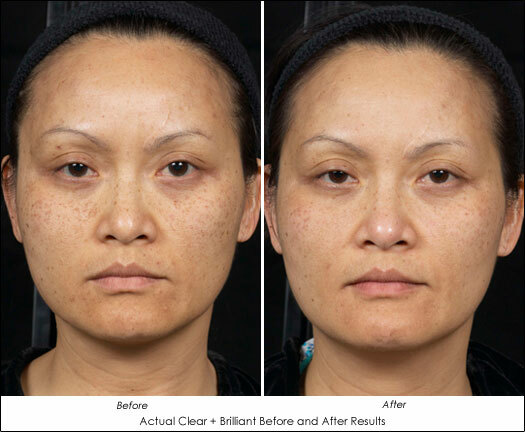 Clear + Brilliant is “designed to deliver powerfully precise laser energy to stimulate a refreshing boost” [link to site] while maintaining patient comfort and safety. Clinically proven to fight the effects of aging skin, Clear + Brilliant helps to improve texture and tone and restore a youthful glow with little to no downtime. Patients frequently talk about the “youthful glow,” as well as softer skin and reduced pore size. Even just one-20 minute treatment session can leave your skin feeling smoother and more radiant, and is as easy to fit into your schedule as a trip to the beauty salon. Routine treatments can produce lasting results and keep your skin looking youthful. Want to go a step further with your Clear + Brilliant treatments? The Perméa treatment increases skin permeability, which amplifies the benefits of topical skin care treatments used immediately after treatment. In clinical studies, patients treated with Clear + Brilliant Perméa followed by a topical antioxidant serum noted radiance, more uniform tone and enhanced appearance overall. If you aren’t looking for a drastic change, but simply want to keep your skin looking it’s best, Clear + Brilliant may be right for you! Add this revolutionary treatment to your skin care regime and keep your skin looking young and healthy for years to come. 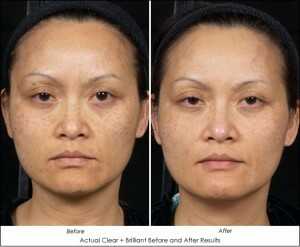 For more information, visit the Clear + Brilliant website and contact Dermess for your appointment today. This entry was posted on Tuesday, April 8th, 2014 at 4:06 pm	and is filed under Lasers. You can follow any responses to this entry through the RSS 2.0 feed. Both comments and pings are currently closed.